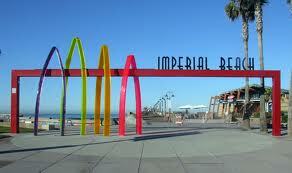 Imperial Beach Real Estate is, well… Imperial! Real Estate in the Southwest doesn’t get more Southern or more Western than it does in the city of Imperial Beach. 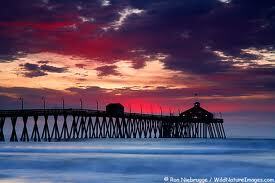 Imperial Beach holds the record, in fact, for being the most Southwestern city in the United States of America. Just five miles from Tijuana Mexico it is the perfect destination for those with a sense of adventure and the frugal San Diego County Home Buyer. It’s almost impossible to imagine owning a piece of beachfront property any more. The prices for such real estate have a tendency to push the average buyer over the edge and into the water. However, here in the tropical climate of Imperial Beach where the weather barely cracks over 80 degrees in the summer and rarely falls below 60 in the winter, paradise becomes startlingly affordable for all. And for those looking for the beach town lifestyle without living on the sand there is an abundance of options inland as well. That’s where you’ll find some of the most cost effective foreclosures in this or any market. You won’t look much farther than that and come across the biggest kept secret in Imperial Beach. Imperial Beach is known as a Condo Treasure Trove. Affordable Condominiums are almost everywhere to be seen here. This kind of living offers top of the line amenities, safe and secure communities and the kind of social outlet that’s important for the gregarious buyer. OpenOffer.com understands what the Imperial Beach Home Buyer is looking for. Whether you’re interested in the beach, the suburbs or the condo lifestyle, we’re there to facilitate your needs. We also understand that there’s more to living somewhere than the roof over your head. That’s why you should know that the City of Imperial Beach is dedicated to bringing commerce and opportunities to it’s citizens. In 2004 the City of Imperial Beach initiated a community redevelopment plan that has restored and renewed the commercial real estate all along Palm Avenue and Seacoast Drive. Not to mention that in 2010 construction began on the Seacoast Inn off Seacoast Drive. The 78 room, four story, Mediterranean-style resort and spa is due to open this Fall. So it’s time to let OpenOffer.com treat you to the Empire you’ve always dreamed of. And what better place to do it than in Imperial Beach?